Andie Rogers is no stranger to secrecy. 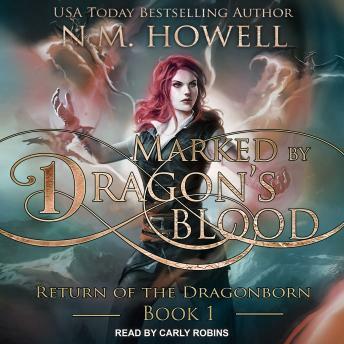 After watching her dragonborn mother get taken away at a young age, she has had to learn to use her sorcery inherited from her father to disguise all trace of her own dragon's blood magic. Now, no longer a child, Andie must attend the University, center of all magic and government in Arvall City, to learn to wield her magic and become a fully-fledged sorcerer. Dreams of her tormented ancestors calling out to her have haunted her since she was a child, and Andie knows she must answer their call and discover the truth. But she must do so in the magical capital in the world, surrounded by powerful sorcerers determined to uphold the lie at all cost. If they discover that she carries the blood of the dragonborn, death with be swift and her people will never get a chance at redemption. Will Andie risk everything to shatter the lies that the world has been fed for so many years? Will she set her people free?